Okay, I’ll admit it–cleaning is rarely “fun.” But tricks and hacks that can make cleaning easier? I’m all over it! Often, these simple solutions don’t cost much at all, and they’re based on ingredients and items you already have right on hand. Even better, they are often huge time savers! And anything I can do to make my cleaning and home care a little easier is totally worth it. When it comes to cleaning, seemingly one-trick-ponies (like dryer sheets) can actually have a handful of great cleaning uses. Your dishwasher can be used to clean a myriad of items beyond just your dishes. You can eliminate smells and get rid of mildew in new and better ways. You can even lighten your cleaning task list by setting up certain tricks to ensure an easier chore next time. Here are twenty of the easiest cleaning “hacks” our team has found, plus a little video we made of our top seven favorite tricks! We’d love to hear what tips and hacks you use too, plus ways you’ve found new jobs for old items! Dryer sheets seem like one of those items with just one use, they’re actually super versatile. Personally, I prefer to buy natural dryer sheets or those with as few chemical ingredients as possible. Did you know dryer sheets can be used to dust? Bonus: they actually leave behind a dust repellent! Dryer sheets can be used to eliminate static from your hair, or wipe one over your skirt and tights to prevent them from riding up. They can be placed in drawers to freshen things up, or soaked in a pan of water to remove caked-on food. There are a million (and I might not be exaggerating) uses for vinegar. It cleans tons of stuff; plus, it’s an acid, which means it kills bacteria. 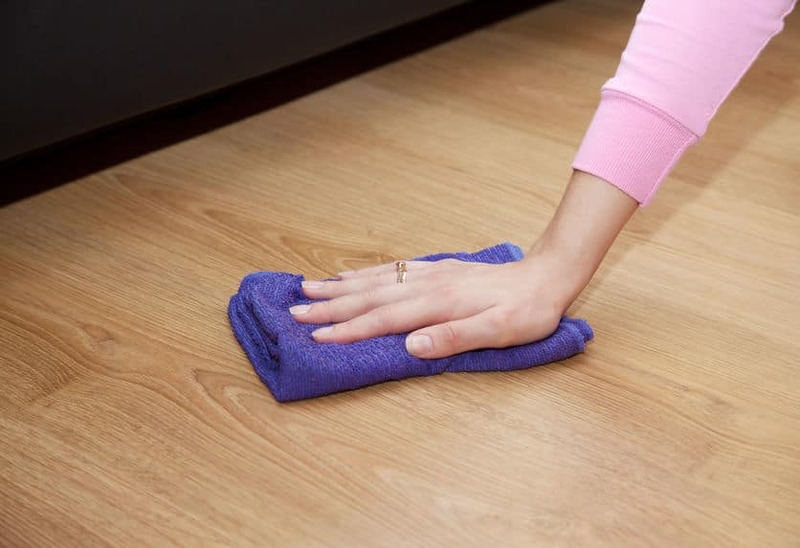 Vinegar removes stains and it’s gentle enough to use in most household applications. 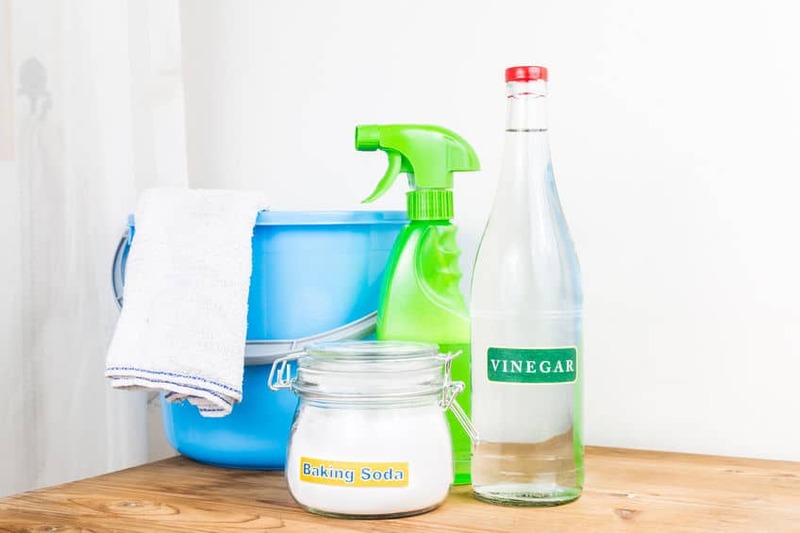 Distilled white vinegar is cheap and effective for removing water spots from faucets and surfaces. It whitens your toilet bowl and cleans marks off your sink. Vinegar can be used to help dye set, to clean your coffee pot, and to remove water buildup. I like to make my own natural cleaning spray using vinegar, water and essential oil. It disinfects countertops and surfaces, plus it softens my laundry. The next time you need to clean your oven racks, or when you have caked-on gunk on your burners, try pouring ammonia over them, then letting them sit in a plastic garbage bag overnight. Open the bag in a well-ventilated area, while wearing gloves. Your oven grates will be as clean as new. You can also use this cleaning hack to clean grill racks, as well. Rinse thoroughly after cleaning to eliminate any smells or traces of the ammonia. One of my favorite cleaning hacks? I use tinfoil to keep pans, the crockpot, and other cookware clean. 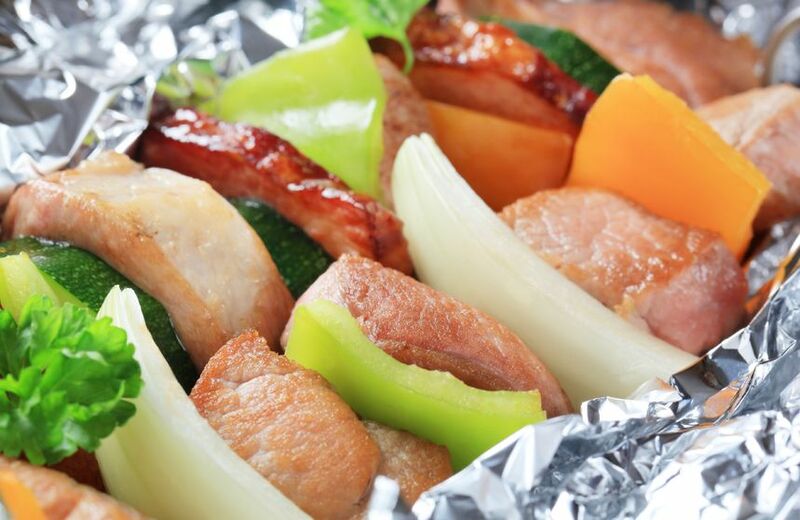 It’s wonderful to simply recycle the aluminum foil and not have to scrub pans for days. Plus, your cookie sheets will stay beautiful. You can even get a second use out of the foil by balling it up and using it to scrub any stubborn gunk leftover during dish washing. Using paper towels, waxed paper, or Glad “Press ‘N’ Seal” as liners for your fridge drawers and shelves helps keep your fridge clean and free from spills and drips. I use paper towels as shelf liners in my bathroom cabinets, as well as under my plants to catch drips. They also make great placemats in a pinch. Your dishwasher can clean more than just dishes, you know. Place Legos and other plastic toys in a laundry bag, then wash in the top rack of your dishwasher. Use the low-heat cycle if you’re washing items made of softer plastic. Lampshades can be magnets for dust and pet hair. One of the easiest ways to remove that dust is with an adhesive lint roller. Simply run it over the lampshade and it will pick up everything. You can also use lint rollers to clean up beads if a necklace breaks. (Trust me, it’s much easier than trying to sweep them up and sort!) Lint rollers also work well for cleaning up glitter in craft or projects areas. Hey, pet owners! 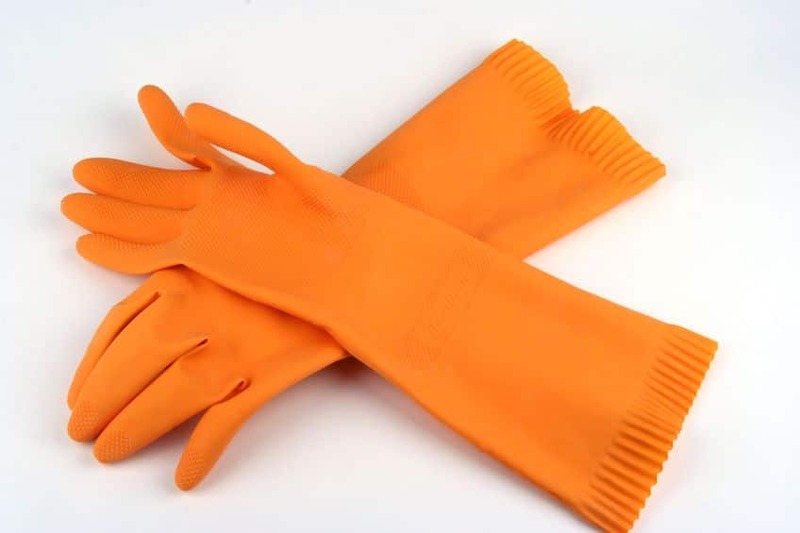 Use either a squeegee or a rubber glove to pick pet hair off upholstery like a breeze. The rubber really grabs the hair and removes it in a way other items can’t. Another option: use a pumice stone (like you’d use to remove calluses from your feet). Run the stone over fabrics to pick up hair—or even use it to remove pilling from sweaters. Throw a dry towel in your dryer with your wet clothing, and clothes will dry much more quickly than if they went in on their own. The towel pulls the moisture from the clothing and speeds up drying time dramatically. If you’re really in a pinch, try a lighter load—small batches always dry faster than large ones. If your smoothie-maker or blender is a pain to clean, try pulsing a little water and dish detergent. This will get rid of anything hiding in the nooks and crannies of your blender. After, simply rinse and let air dry. If your microfiber sofa is looking a little worse-for-wear, use alcohol to remove any stains or spills. 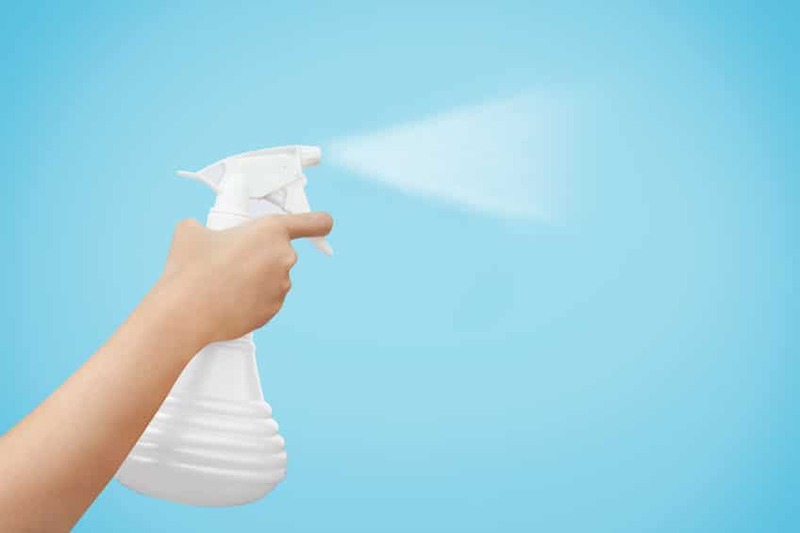 Simply use a spray bottle to spritz the area that needs to be cleaned. Use a clean sponge (white or natural) to absorb the spill (blot it), and then use an upholstery or scrub brush to buff and eliminate any areas that look shiny. One of the oldest cleaning hacks in the book? Use a walnut to remove a scratch on wooden furniture! Yes, good ol’ walnuts, just like you eat for a snack. Take the nut and rub it over the scratch, then allow it to sit for a few minutes. Use a soft cloth to polish the wood in a circular motion. Scratches will improve, and might even be eliminated completely. The alcohol in hairspray makes it ideal for removing ink and lipstick from clothing, fabric and other stainable places. If a pen breaks in your pocket, or if your lipstick ends up somewhere it shouldn’t be, spray the area generously with hairspray and rinse it out. 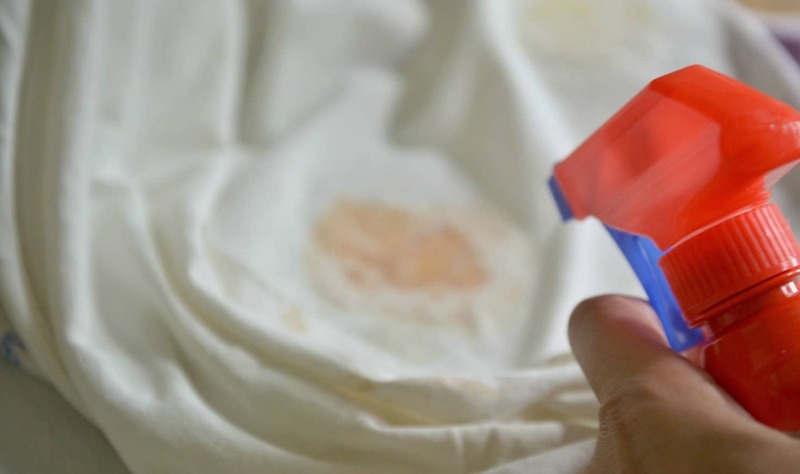 Follow our stain guide to tackle tougher stains. Anyone who’s accidentally sprayed furniture polish on the floor knows it makes things SUPER slick. Try spraying it on your stainless steel doors (refrigerator, stove) to really make them shine and appear polished. You can also use a little Pledge (or other furniture polish) on your glass shower door to keep water spots at bay and keep your door looking clean. This one seems…well, odd, but it really works. Spray vodka over your mattress to eliminate smells and disinfect. We all know that vodka is relatively odorless. When it’s sprayed onto fabric, it also absorbs other odors and quickly evaporates. You can add a few drops of essential oil to the spray if you really want to freshen things up. Forget spraying, scrubbing, or chiseling off the baked-on goop that accumulates in your microwave—eww. Simply place a cup of water or lemon-water in your microwave and boil it for about three minutes. Let it sit in the microwave for another minute or two as the steam works its magic. 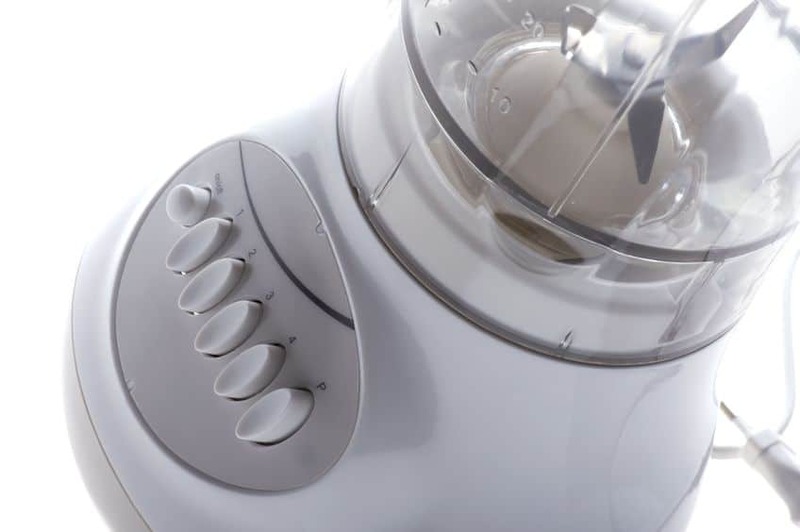 Cleaning the microwave will be as simple as wiping it out with a paper towel. When oil splatters on your cupboards or backsplash, it may seem counterintuitive to use more oil to get it off. However, just like oil and water don’t mix, using a water-based spray won’t clean off the splatter. Instead, use a bit of cooking spray or an olive-oil-moistened paper towel to rub off the splatter. 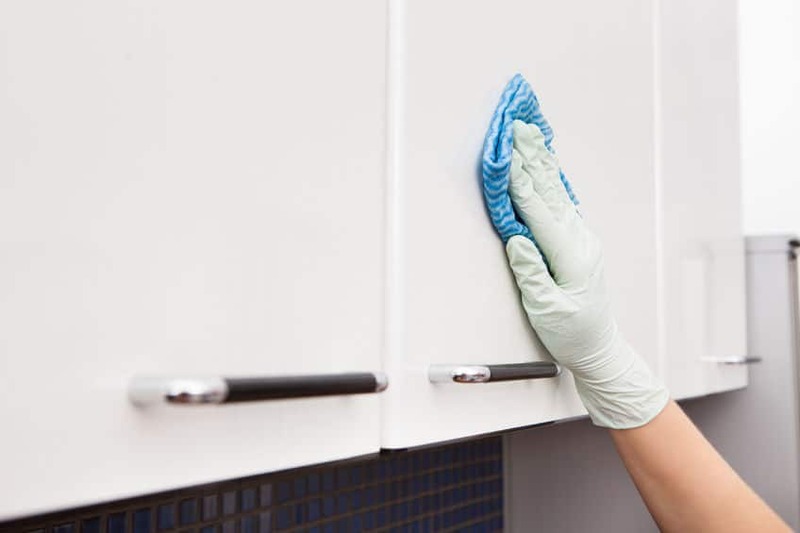 Wipe with a fresh cloth until the oily residue is no longer detected! Use newspaper to line the inside of your garbage can. It’s simple, plus it will absorb any spills or leaks that seep into the can and cause nastiness. When you replace the bag, you simply toss the newspaper into your compost and use a fresh piece: simple, easy and clean. Nothing is more sickening than seeing a big gouge in your hardwood floor. The next time a piece of furniture, a rock, or some other foreign object leaves a mark on your beautiful floors, don’t fret! You can easily use a matching melted crayon to cover the mark. Either shave or grate the crayon, or simply microwave at ten-second intervals until the crayon is pliable (but not liquefied). Then, rub the wax into the scratch. Use a credit card to remove any excess wax and then buff with a cloth—the scratch will be hardly detectable. Cleaning hacks can really save you time and headaches. 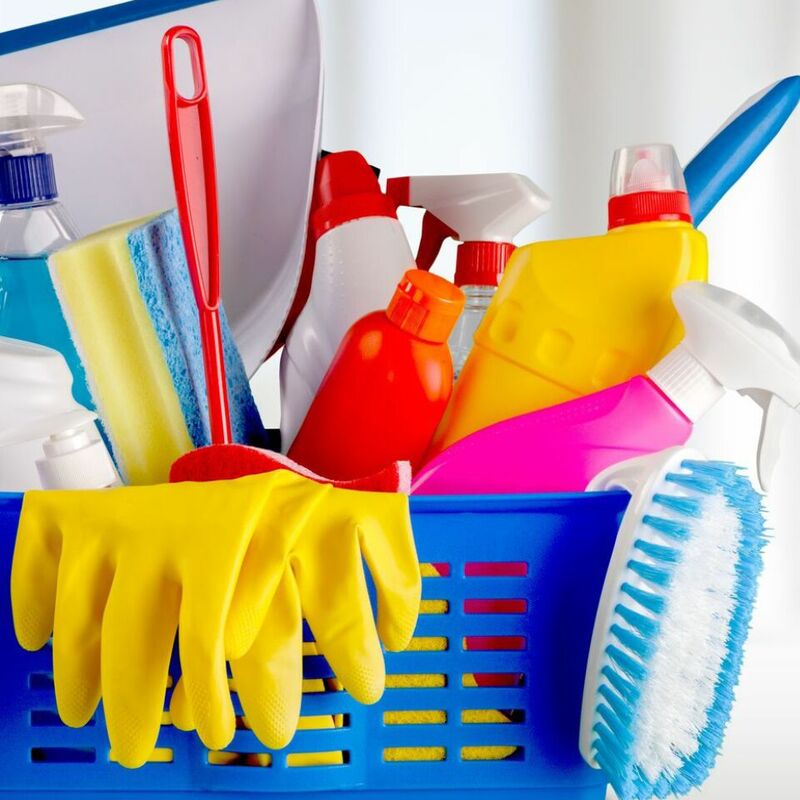 Some may seem obvious, but these tried-and-true cleaning ideas and solutions will save you money and resolve many of the cleaning conundrums you may face. Happy Cleaning! Great ideas! Love the video too! I miss seeing you on Periscope! I miss seeing you on periscope too!! Great list, but I can only imagine the look on my husbands face if I started spraying all our mattress with Vodka. I’m not sure if I’m brave enough to try this one? 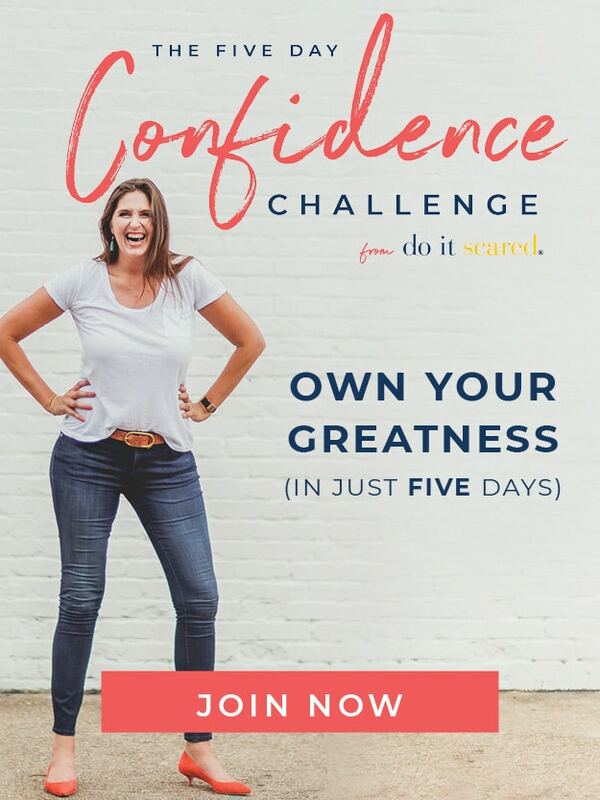 Would love to know if anyone actually tried it. The dog loves to sleep with my son, and well his room doesn’t always smell the freshest. I used to clean for vacation rentals and the manager used vodka (with a touch of lavender) for the mattresses, furniture, and heavy bedding. It not only dries quickly and freshens, but it disinfects as well. It costs less than other fabric freshening products. 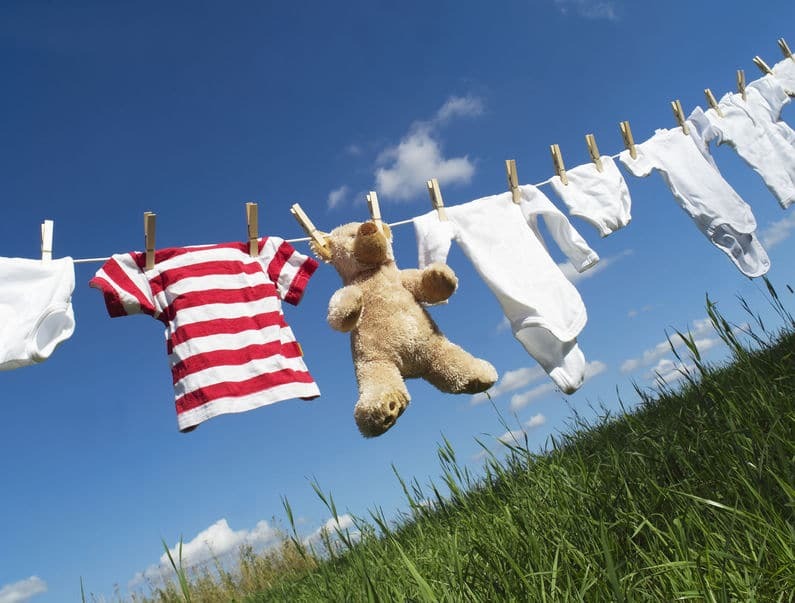 When washing and drying towels, do not use fabric softener. It makes the towels less absorbent. And t.he entire purpose of a towel is to absorb liquids. What a great list of HACKS!! There are so many on here that you mentioned that I never heard of. I really like the idea of using a laundry bag in the dishwasher to clean small plastic toys. So easy and so creative. I use cardboard coasters in the fridge. They absorb more of everything than paper towels. Even better is to out the oven or grill racks in a black plastic bag out on the lawn on a sunny day. Solar powered clean! I keep a stash of used fabric softener sheets in my kitchen to clean the kitchen and bathroom faucets. Shines them up quickly without water, which also makes this a good hack for cleaning outlet covers and lightswitches. #3 is a game changer! Boost the effect by placing the black bag in a sunny spot in the yard. Solar power for the win! Those tips are really quicks hacks. 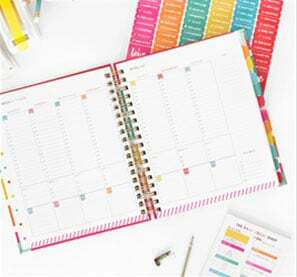 Very helpful post for a busy mom like me. I appreciate it. Keep blogging! I use a dryer sheet to clean my glass shower doors. It cuts right through soap scum quickly and easily. Rinse with clear water and dry. Loved your blog and the tips you have given in it. 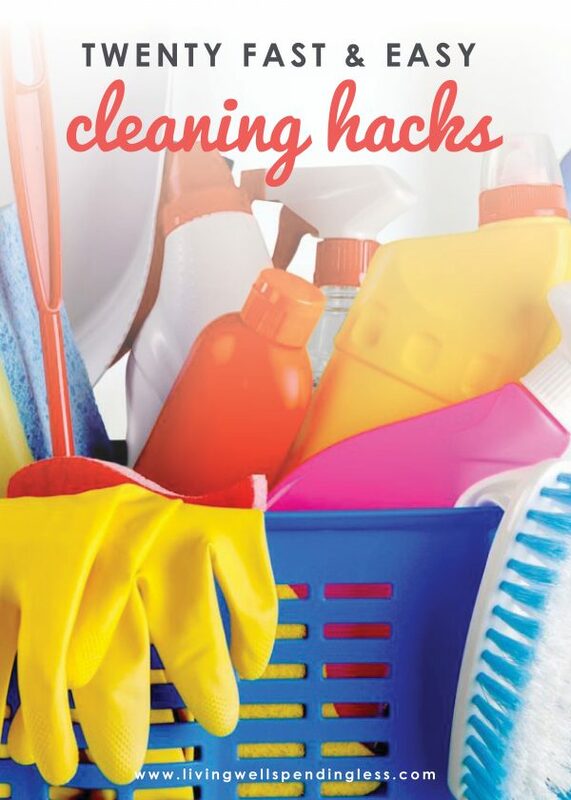 This is going to be very helpful for a of of people who find cleaning difficult and are always searching for hacks and different tips to make cleaning processes easy.